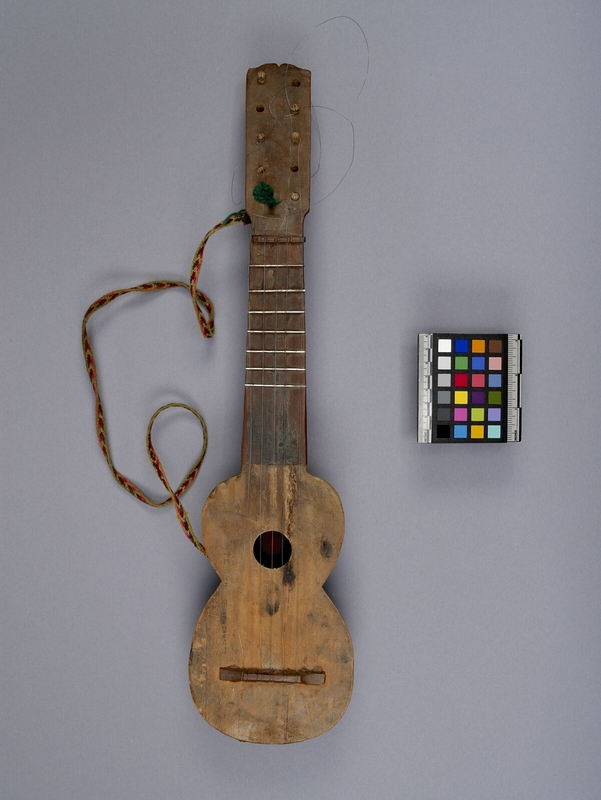 Item number Sf1136 from the MOA: University of British Columbia. 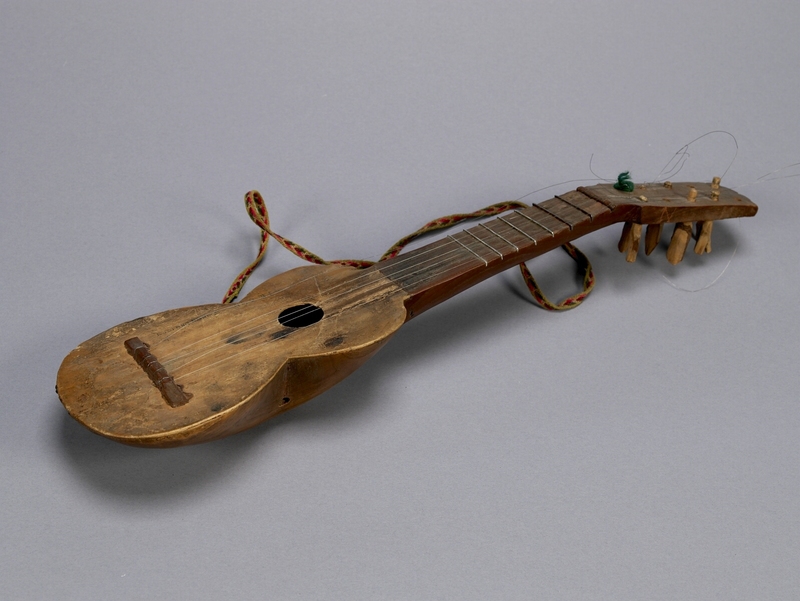 Small, guitar-like instrument carved from brown wood--one piece forms the body and neck. The fret board appears darker in colour. Six peg-like tuners are carved of light wood. Five wire strings run over seven metal frets on the neck. 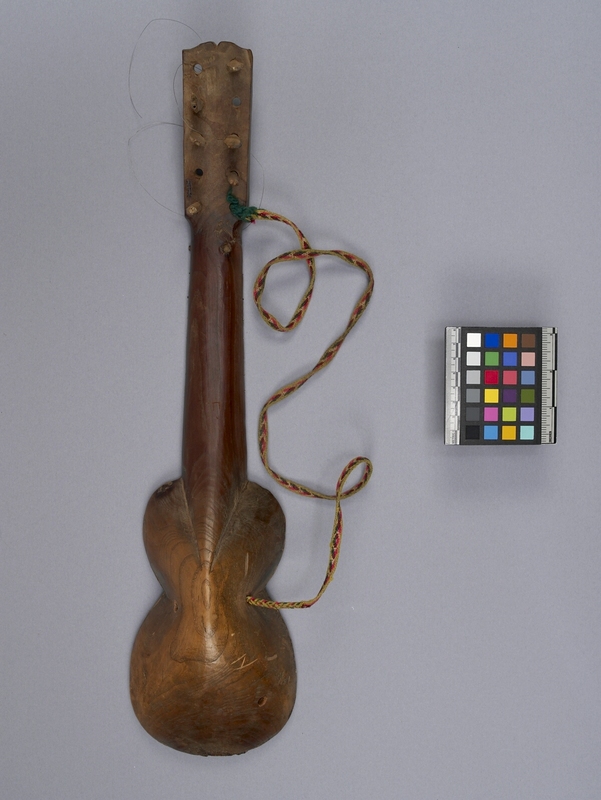 A multicoloured woven neck band is attached at the headstock and the side of the body. Held close to the chest and strummed with the right hand, band passes around the neck.